Fancy unearthing the perfect little second-hand dress, a vintage handbag, some retro furniture or an old postcard that's sure to make somebody smile? Then here's a great selection of events that will awaken the bargain hunter or antique collector in you! As soon as the fine weather returns, second-hand markets and garage sales flourish, to the great delight of enthusiastic bargain hunters. 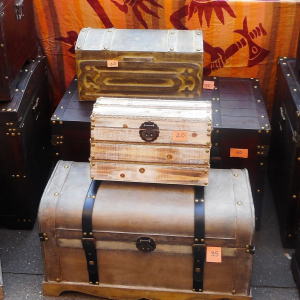 Every year for Pentecost, the renaissance district hosts a large flea market based around the Cathedrale Saint Jean.